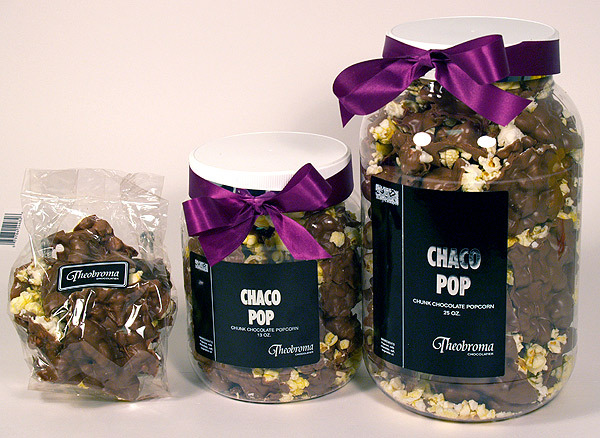 Delicious fresh popcorn covered in Theobroma milk chocolate. Available in 3 sizes. Yum!